Just returned from the ICVM meeting and want to record my thoughts briefly here to remind me of the value of collaborations and pushing yourself outside your comfort zone. I thoroughly enjoyed the morphology meeting. What detailed accounts of evolutionary biology paleontologists and anatomists uncover is fascinating! I could essentially choose any seminar at random, walk in, and simply learn about biology. I was never bored, usually humbled, and never sleepy throughout the talks. 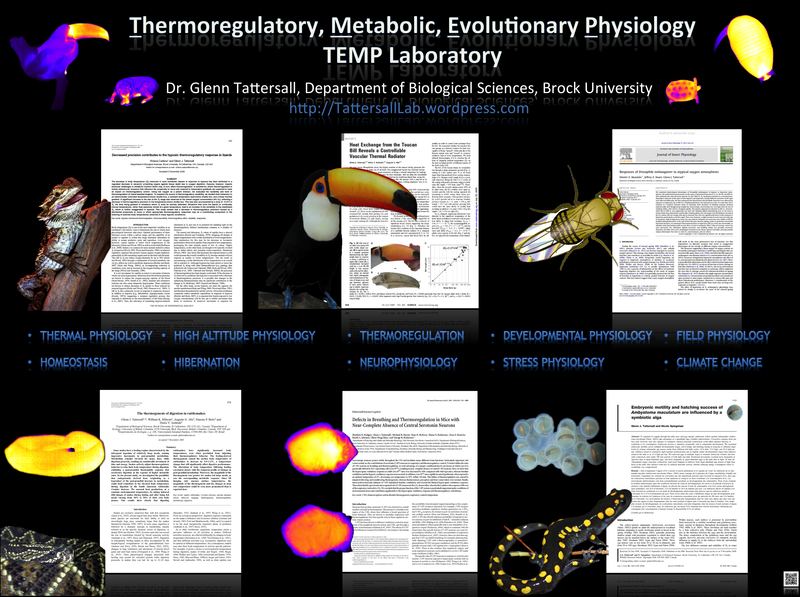 My reasons for attending this conference (outside what I consider to be my normal expertise) was because I co-organised a symposium with Dr. Ruger Porter that was ostensibly about using morphological traits to infer and understand thermoregulatory physiology. We used the rather boring title “New insights into the functional relationship between anatomy and physiology in extinct and extant vertebrates” but in the end had a great line-up of speakers. Sort of like chocolate and peanut butter, the mixture of morphologists and physiologists led to great discussions, and I hope some future collaborations and cross pollination of ideas. Some of what they spoke on is still unpublished, so I won’t spoil their thunder by revealing it here, but suffice to say we had a great session learning on how the vascular system in the cranium is involved in brain temperature regulation, leading to fascinating discussions about the evolution of the artiodactyla. We heard some brilliant work on using fluid dynamic modelling to estimate how much evaporative cooling and heat recovery would occur in select dinosaur lineages. I spoke about my lab’s ongoing work using thermal imaging to explore the role of appendages (i.e. avian bills) in thermoregulation, which tied nicely into the paleontological work on cranial thermoregulation. We also had two great talks on bone histology and metabolic rate in an array of mammals, where inference about the metabolic physiology of mammals can be drawn from traits preserved in their bones. Back row (left to right): Shoji Hayashi, Maartin Strauss, Ruger Porter. Front row (left to right): Haley O’Brien, Glenn Tattersall, Jason Bourke, Colleen Farmer. To anyone reading this post, please look up these authors and read some of their papers! The kind of work we saw presented represent what you will find in the textbooks! ← Off to DC for my first morphology meeting!